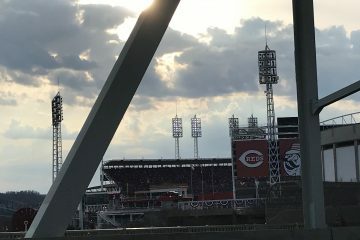 The Reds begin their 2019 season against the Pittsburgh Pirates on March 28th. 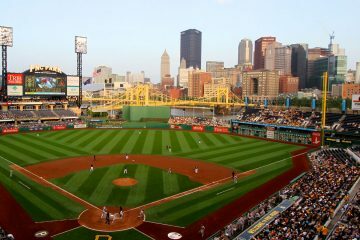 They will play four more games against the Pirates in Pittsburgh starting on April 4th, so the Reds will get very familiar with the Bucs early this season. The Pirates surprised a lot of people in 2018. The Bucs were projected by PECOTA to only go 78-84, but they were in first place at the end of April and were only 6.0 games back heading into August. They were in the wild-card race until late in the season. The surprise move of the season came at the trade deadline when they pulled the trigger on a trade for Chris Archer. The Pirates were lead offensively by Starling Marte, coming off his PED-suspended 2017. Marte had a 113 wRC+ and 3.7 fWAR, much improved from his 91 wRC+ and 1.4 fWAR in 2017. The Pirates overall had a decent offense, with a team 96 wRC+ (7th best in the NL), just slightly ahead of the Reds 95 wRC+. The Pirates pitching was in the middle of the pack too, with a 4.00 ERA (8th best in the NL) and 4.06 FIP. Jameson Taillon (3.20 ERA/3.46 FIP) and Trevor Williams (3.11 ERA/3.86 FIP) lead the way in the Pirates rotation. Felipe Vasquez (2.70 ERA/2.43 FIP) proved to be one of the best closers in baseball with his 100+ MPH fastball. Lonnie Chisenhall has been a really good hitter the last two years when he has been on the field. He has hit .297/ .368/.503 with a 128 wRC+ since the start of 2017, but he has only played in 111 games. Jordan Lyles will be the project of pitching coach Ray Searage in 2019. Lyles is coming off a fairly successful 2018 (4.11 ERA/4.09 FIP) where he split time in two organizations (Padres, Brewers) and split time between starting and relieving. Lyles’ projections in 2019 reflect more of his poor seasons prior, but if can be a near average SP that would be big for the Pirates. Harrison and Mercer have been mainstays in the Pirates lineup over the last several years, but neither player is a big loss. Mercer had a 85 wRC+ and Harrison was at 78. The Pirates have lots of options in the middle infield with the addition of Erik Gonzalez, as well as big league ready top 10 team prospects Kevin Newman and Kevin Kramer. The Pirates farm system ranks around the middle of the pack in baseball (Keith Law has them at #15). They do have a lot of players ready or close to being ready to contributing in the big leagues. They will be able to replace the departures of Josh Harrison and Jody Mercer in the middle of the infield with higher ceiling players. The Pirates have already sent down their top pitching prospect, Mitch Keller, to begin 2019. Keller got hit hard in the early spring, but he could join the Pirates rotation at some point this season. Stay tuned later today for part two of the Pirates preview, where we’ll look at the roster and record projections. Photo Credit: Ben Beard. Photo was slightly altered. Licensing can be found here. They should have started a rebuild. By summer if they are not fully in it, i expect archer will be traded. The Pirates will have a hard time filling the shoes of the injured OF Gregory Polanco. He was in the midst of his best season so far when he injured his knee and shoulder on one awkward slide into 2nd base last August. It might be mid-season before they get him back to the way he was last year. Chisenhall will help fill the void, but he isn’t equal to Polanco. The Pirates strength will be in their rotation. A very good foursome in Taillon, Williams, Musgrove, and Archer. 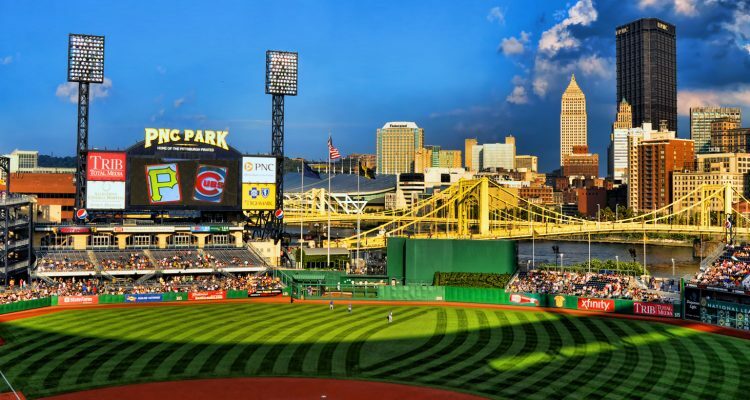 I am not seeing it, where the Pirates will be better than Cincinnati in 2019, as many are predicting. The NL Central teams will beat each other up in 2019, so it seems like a wild card team emerging from the NLC will be hard to come by. The same may be said about the NL East, though, so that could help the NLC possibly get that second playoff team.